Ditch your bland spare tire cover and make room for larger tires. This spare tire mount flips the wheel over to show off the good side of the wheel. 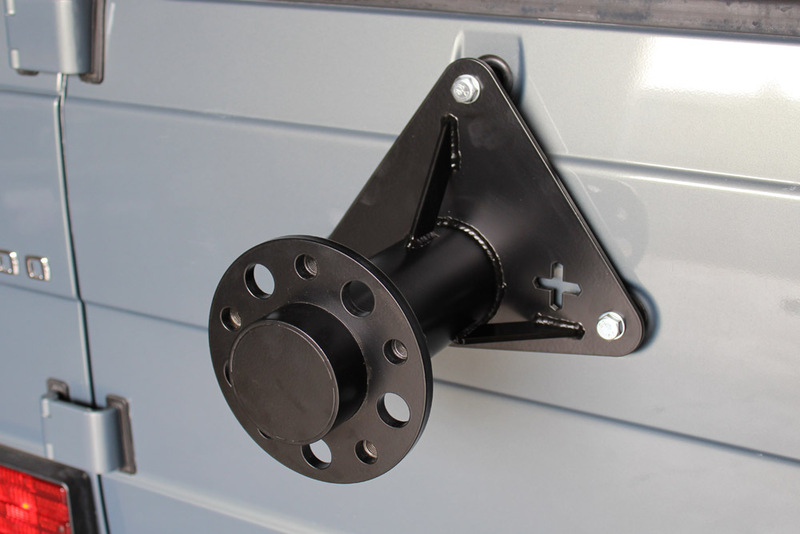 We designed the mount to use factory wheel bolts, which makes everything simple if you ever need to use your spare tire. Fully welded and gusseted design is stronger than stock and still light. Easy to bolt on in a few minutes. 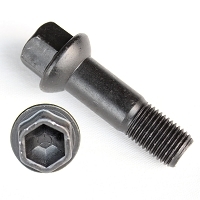 Comes with two sets of door spacers and bolts, to fit any wheel that Mercedes offers. The short door spacers are for 2002 and newer models with 18" wheels. The long spacers are for pre-2000 models and any wheel 19" or larger. 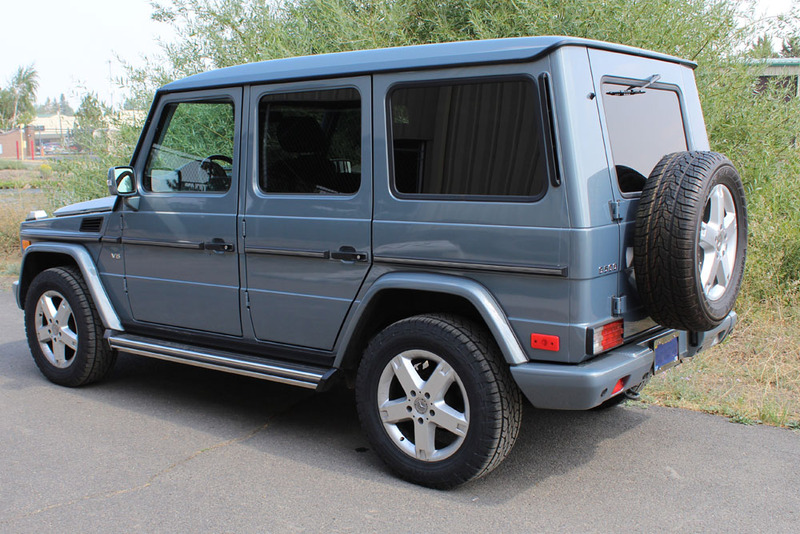 Will NOT work on 2019 G-Wagens. 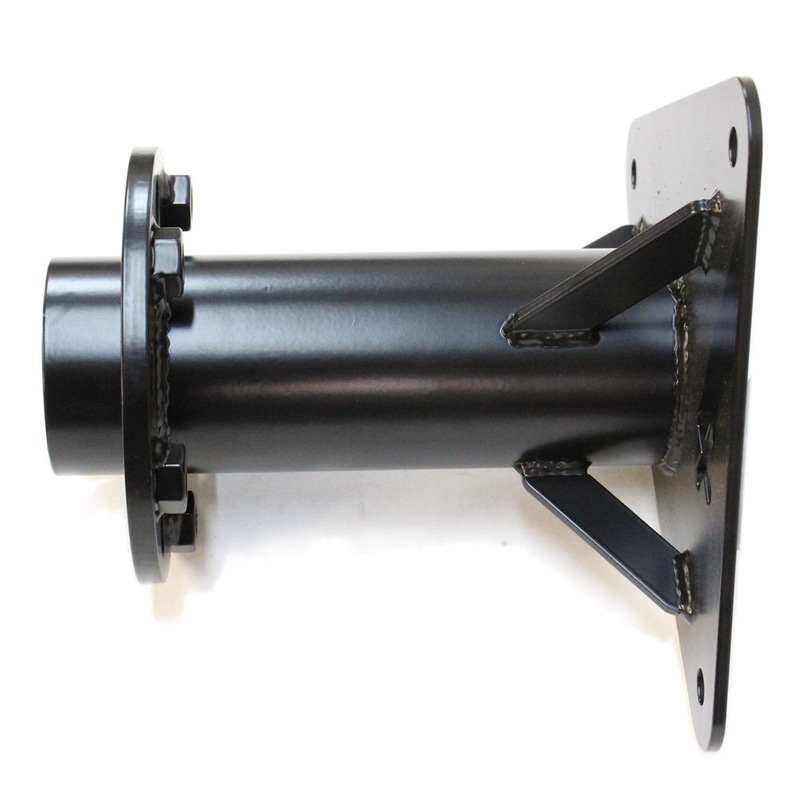 It will work on 1980's models that have this three bolt style mount to the rear door. 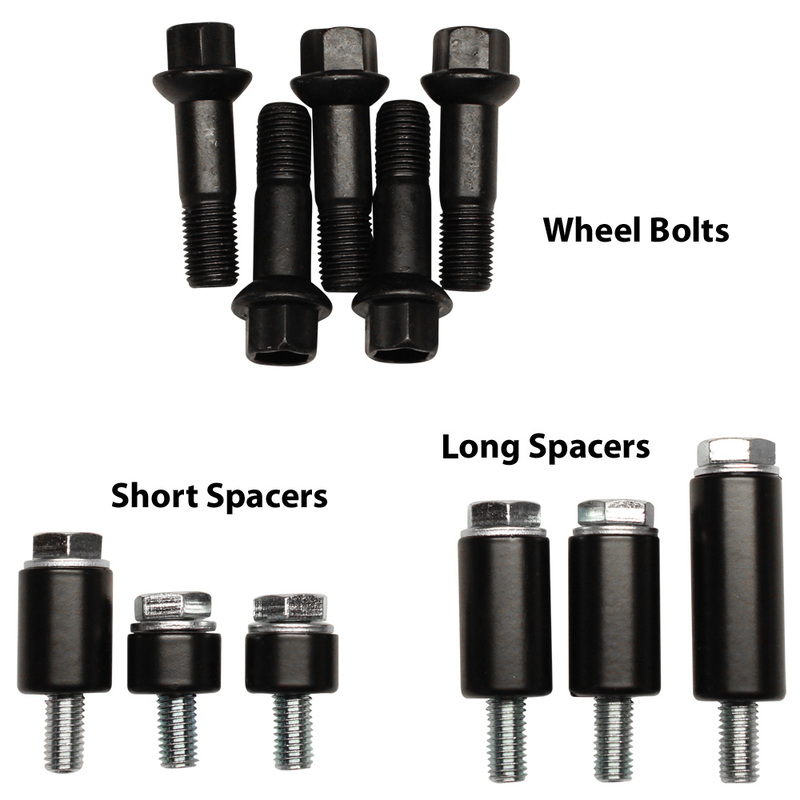 The short and long spacer kits will work for any wheel offset and tire width. Now works with Hutchinson wheels. We left the tube open and installed a ring inside, so a center cap installs in our mount. When a Hutchinson wheel is bolted on it looks like the center cap is installed in the wheel. 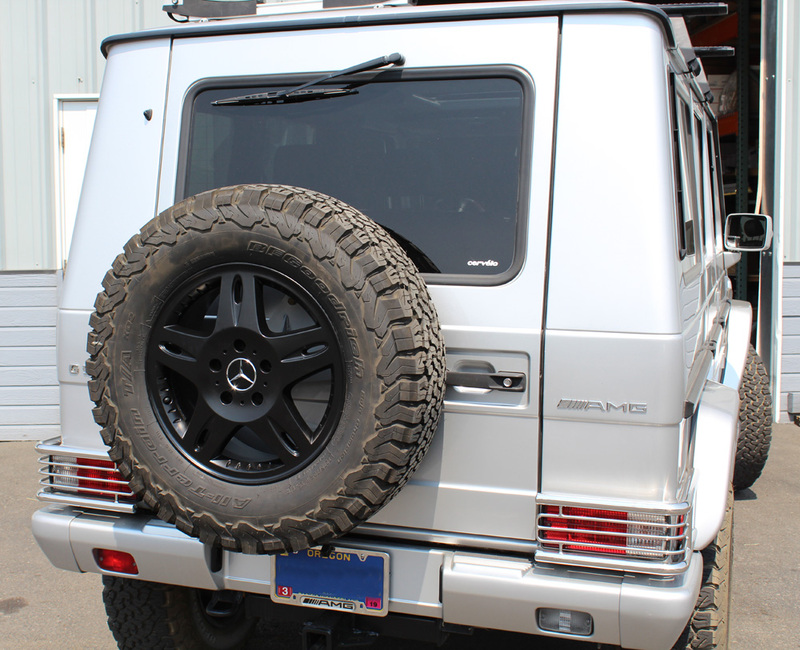 For the other four wheels use these adapter rings from this link: G-wagenaccesories.com. 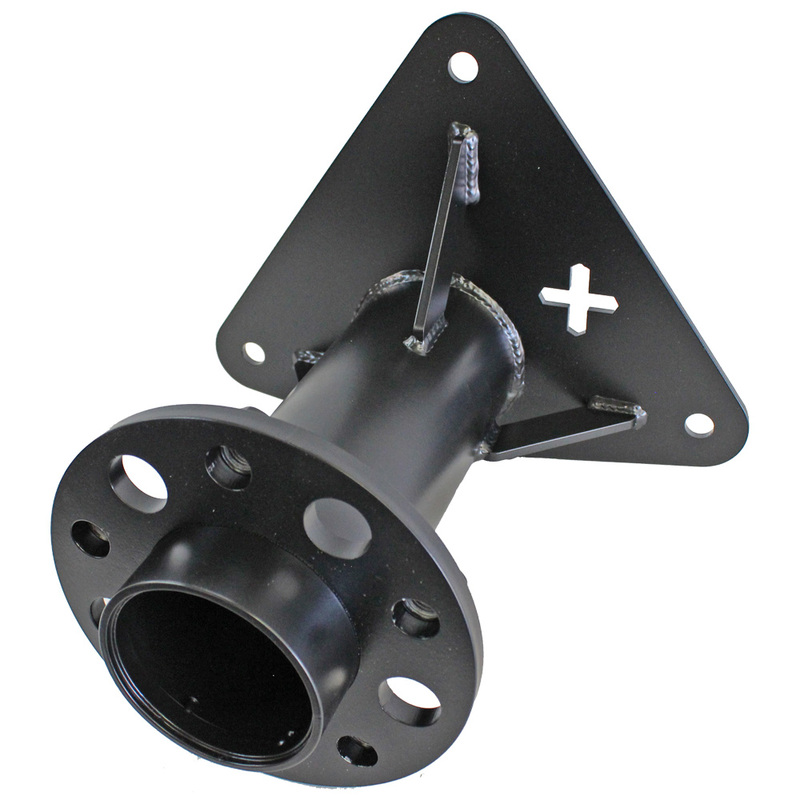 With standard wheels our mount gets covered and the center cap still installs in the wheel. 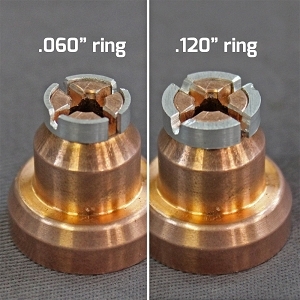 We are now offering center caps because you will need an extra one when you flip the spare over. 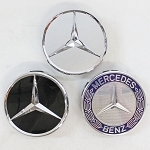 We are offering genuine Mercedes caps and the knock off Chinese ones as well. The Mercedes ones are better quality, but cost more. The Knock Off caps are cheap and almost as good except the star doesn't taper as much at the ends and the paint is a lower quality. We are offering both options so you can choose which we should continue to offer in the future. 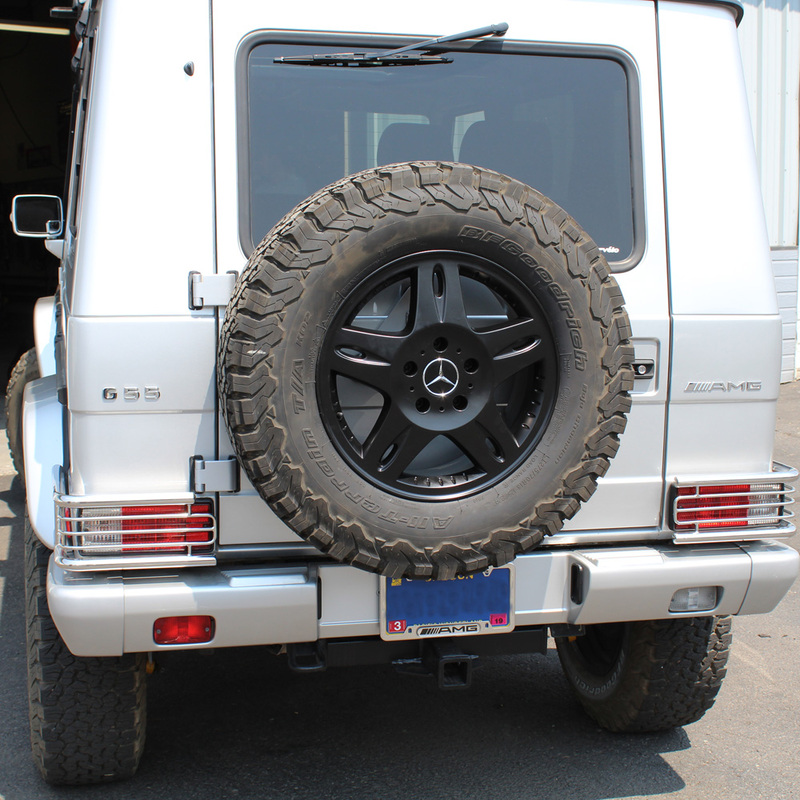 G Wagens with 19" and larger wheels, the factory spare is 18" and will use the short spacers unless you purchase a matching spare wheel. Includes 5 OEM wheel bolts. Powder coated finish is durable and long lasting. Laser cut 3/16" steel base plate and 3/8" wheel flange with precision welded nuts. The center tube is high strength DOM steel and is hub centric to the wheel for easy installation. Just received it and had my Hutchinson bead locks with Nitto Trail Grapplers mounted and it looks awesome. Very Sturdy. 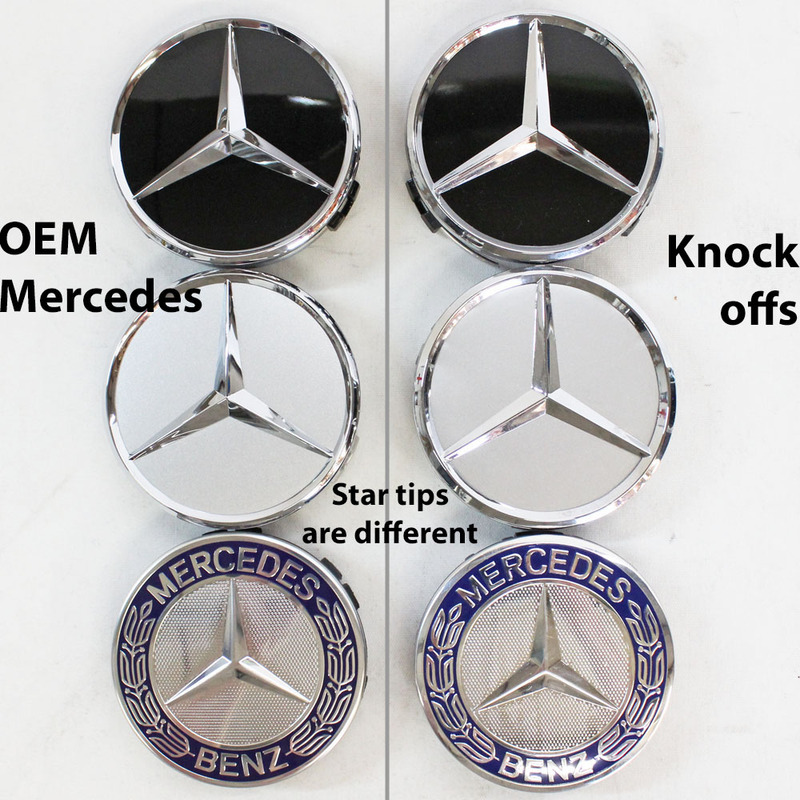 Waiting on advice on how to mount the Mercedes center cap emblem properly (with Hutchinson adapters) as shown in other pics. I have just replaced my G550 with 33" high tires. I bought the Rockmonster(Hutchinson) WHEWA0492017 from OK4WD. The old stainless ring will not fit the bigger tires and the MB dealer does not have anything that will fit the new tires. Looks like the max they have is for 30.5" high tires. I was looking to flip mount the tires so it would look a bit more rugged and no one has it except 911 motorsports. So i ordered the part and it came in 3 days! Just installed it and wow, it was better made than the factory mount. Instructions are clear and the fitment is superb! Oh and Casey was always available for some clarifications! I am impresses with the part and the great customer service. 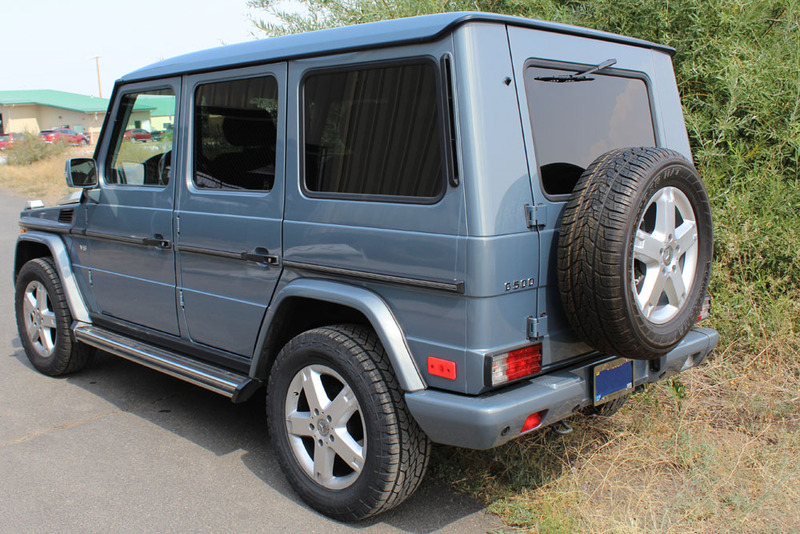 So if you want to put in bigger tires on your Gwagen and you want to have the rigged look, this is the only way to go! So glad to have found this! Thank you for making! With the bigger tires and spare I put on, the factory cover/ring no longer fit. It looks so much better to have the ability to flip the spare so you are not looking at the inside of the wheel. This is as sturdy and well built, if not better, than the factory mount and handles by 33" KO2's with ease. I also really like that you use lug bolts rather than the lug nuts you use with the factory setup. They are the same size and thus no need for that additional tool!